Il Servizio Petrino: Canadian Bishops thankful for Pope's "extraordinary leadership"
Canadian Bishops thankful for Pope's "extraordinary leadership"
Archbishop Richard Smith has issued a short statement following news that Pope Benedict intends to resign effective February 28. "This morning we received the surprising news that the Holy Father, Pope Benedict XVI, has announced his resignation due to his weakening health," said Archbishop Smith. "We are grateful to God for the leadership given to the Church by this extraordinary man. The clarity and beauty of his teachings will be a legacy to enrich the Church for generations. "Having met with the Pope last November and seen firsthand his growing physical weakness, I sympathize with his decision. Clearly his love for the Church and his shepherd's heart have led him to take this step, which he believes in his conscience to be necessary for the good of the Church. We offer our prayers for him and assure him of our love and gratitude." The Canadian Bishops also released a letter to the Holy Father, thanking him for his service to the Church and assuring him of the abiding prayers, love and support of the Church in Canada. The Bishops of Canada received this morning the news of your intention to resign the ministry of Bishop of Rome. We and the faithful of Canada have grown to love and admire you, and so are marked today with sadness at your impending departure from your role as Supreme Pontiff. At the same time, we are full of gratitude to God for the wondrous blessings that have been ours because of your extraordinary leadership. With admiration we acknowledge the courageous witness of life and marvellous clarity of thought that have marked your many dedicated years of service as priest and Bishop, teacher and writer, Prefect of the Congregation for the Doctrine of the Faith and, especially, as Pastor of the Universal Church. Your Holiness, please accept this expression of the heartfelt thanks of the Bishops, clergy and faithful of Canada for the entire gift you have made of yourself for the good of the Church. Your beautiful and inspiring encyclicals, homilies and innumerable messages form a legacy of clear teaching, infused with love for Christ and His Church, that you now leave as a sure guide for Christians of future generations. 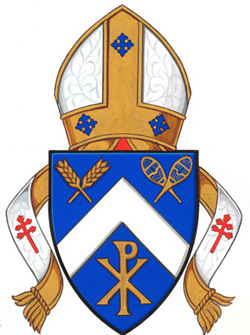 As President of our Episcopal Conference, I wish to thank you for the great kindness and unfailing support you have shown to the Church in Canada and its Bishops, as we endeavour to be faithful workers in the Lord’s vineyard. I particularly wish to express our deep appreciation for expressing the sorrow and regret of the Church for past errors toward the Indigenous People in Canada, while opening the way to a new future with the canonization of Saint Kateri Tekakwitha. 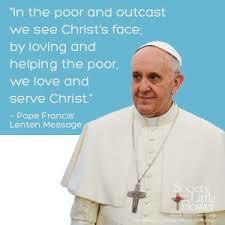 Holy Father, your decision to resign arises, we know, out of your love for the Church. It is an act of faith, which in turn invites all of us to place our trust and confidence in the Heavenly Father who guides all things, in Jesus Christ who remains always with us, and in the Holy Spirit who unites us in love and hope. Thank you for having served us so very well as Successor of Peter. Rest assured of the abiding prayers, love and support of the Church in Canada.